The world of hunting gear and archery equipment continues to grow and each year brings new technology that can help you become a more effective hunter. 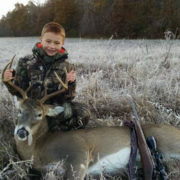 For most white-tailed deer hunters, the bow hunting gear that they take to the field can typically be broken down into the following five categories: bow and archery accessories, hunting accessories, optics, safety, and comfort. In honor of the upcoming rut, and countless hunters who will grab their archery equipment and take to the tree, we have compiled a list of our bow hunting gear! Compare our list to your own to make sure you are not forgetting anything vital for the upcoming weeks of hunting! This category is fairly straightforward and self-explanatory, after all, what is bow hunting without your bow? Bear Archery® bows have become a staple with our family. They are durable, well-crafted, and exceptionally accurate. Besides the bow, the arrows you select and tune can have a huge impact on your season’s success. 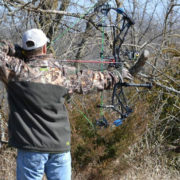 We trust Gold Tip® arrows, a proven brand of hunting arrows that continue to fly straight and hit their mark every hunt. After arrows, comes the bow quiver and bow release. While obvious, these two pieces of equipment are often left behind on the walk into the stand, especially the bow release. To combat this, make sure you have an extra bow release in your hunting pack. It could save you a trip back to the truck! Although these items are lumped into the “Other Hunting Accessories” category, that doesn’t make them any less critical to success. These items will always find their way into our bow hunting pack, especially when the rut draws near! If you are one of the few archery hunters who have not tried rattling, then you are simply missing out! Rattling is one of the most effective ways to attract a big, mature white-tailed deer into bow range, and the time to break out the antlers is now! Many hunters don’t realize just how vocal white-tailed deer are, especially during the rut. 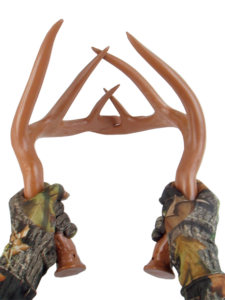 If you pair a good set of rattling antlers with the Primos® Grunt Call and Snort Wheeze call, you will create a very real situation a buck could believe. Don’t be afraid to be vocal, the rut is the best time of year to do so, and you might just be surprised by the results. While watching the wind is always an important part of being successful, sometimes you just have to hunt. The wind can sometimes be your friend, but it can also be your enemy. 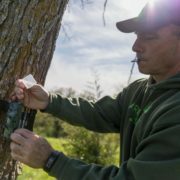 Taking advantage of scent control products, as well as wearing scent control outer layers is certainly one way to help control the variable of scent. Hunting a steady wind is generally not an issue; however, hunting a variable wind is another story. Carrying a product such as the Scent Crusher® Scent Grenade and utilizing Scent Crusher® scent eliminating products like the Ozone Gear Bag and Wash O3, will help combat the issues you might have with the wind. If you have never employed scent eliminating products before, give it a try this year. Nowadays, it is much easier for hunters to self-film in the field. Aside from being able to share your hunt, the DIY footage that sportsmen and women capture can help aid in future hunts or game recovery. We pride ourselves on capturing high-quality footage for everyone to enjoy, and because of that commitment, multiple camera arms and cameras find their way into the blind or tree stand every time. Although you may not want to go that in depth when filming your hunt, chances are you’re a little interested. If you like the idea of self-filming your hunt, a great way to start is to simply purchase two GoPro’s and some accessories from Fourth Arrow Camera Arms. 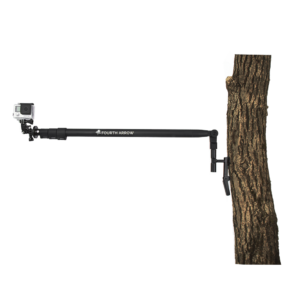 The Outreach Arm coupled with a GoPro can allow you to capture your experience of the hunt, while a head, chest, or bow mounted GoPro captures the deer and the shot. This simple setup can create great memories in the field or help recover game in a questionable shot situation. Hunting accessories can sometimes be the most important bow hunting gear you can bring to the stand. Items such as extra J hooks, or the GoGadget™ Tree Arm, can certainly help keep you organized and effective. 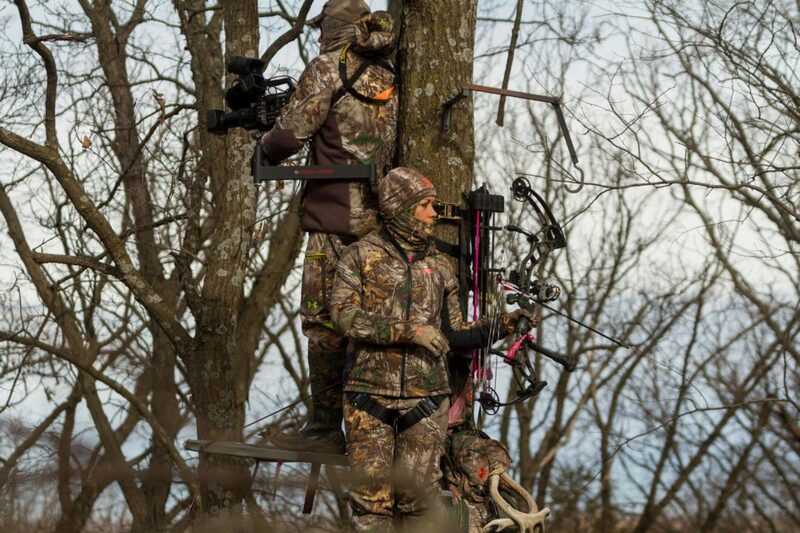 No one likes clutter, and when you’re in a tree stand, there really isn’t any room to spare. Having the ability to create additional storage space is often an overlooked detail that can certainly help to make your hunt just a little better, and less stressful than it might have been otherwise. It also helps to have a little extra rope or wire to ensure you have plenty to haul up your gear into the tree. Having something beyond a “pull up rope” that is a little more this century might go a long way in making your hunt easier. 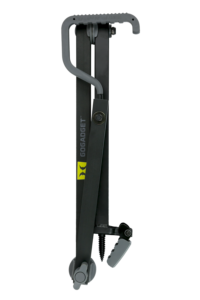 The Speed Retract™, for example, can drastically reduce the amount of untangling you have to perform under the stand in the dark. Tools like this take away from the stress of taking so much gear into the stand! No hunting gear list would be complete without a quality hunting knife. A knife that not only serves everyday hunting use but also contains a gut hook can be essential to make quick work of field dressing a deer. One example of this type of knife would be the Lonerock Folding Gut Hook from Kershaw®. 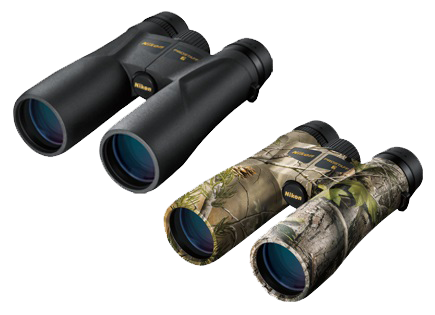 No matter if you are hunting the expanses of the west or the rugged wooded ridges in the east, optics are a must. Optics cannot help you locate game but can help identify characteristics that reveal a game’s identity or whether or not they meet your goals for harvest. 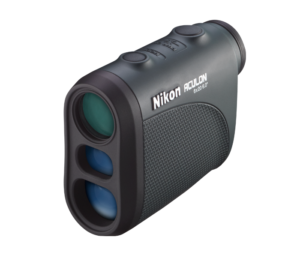 Other hunting optics such as rangefinders are absolutely critical pieces that are a must for any archer. Nikon makes an excellent set of binoculars, which are of the highest quality and extremely durable. No matter if you are looking at the 10×42’s or the 10-22×50’s, having a solid set of binoculars in your hunting pack will not leave you disappointed. 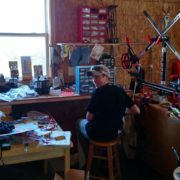 In the world of bow hunting, it is hard to find anyone who doesn’t have a rangefinder in the pile of archery equipment. The number archery tip that is often given out to beginners is to learn how to effectively judge distance, and a rangefinder helps you quickly solve that equation. Accidents can happen in the blink of an eye, and when you add in some sleep deprivation and fatigue, the probability of an accident increases. Ensuring that you have done all you can to both prevent an accident from occurring and being prepared if and when one does occur is a critical part of planning your next trip to the field. Investing in your bow hunting equipment is important, but investing in your safety is even more so. 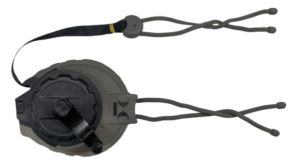 If you spend any amount of time hunting from a tree stand, having an effective and durable safety harness and safety rope system is an absolute must. 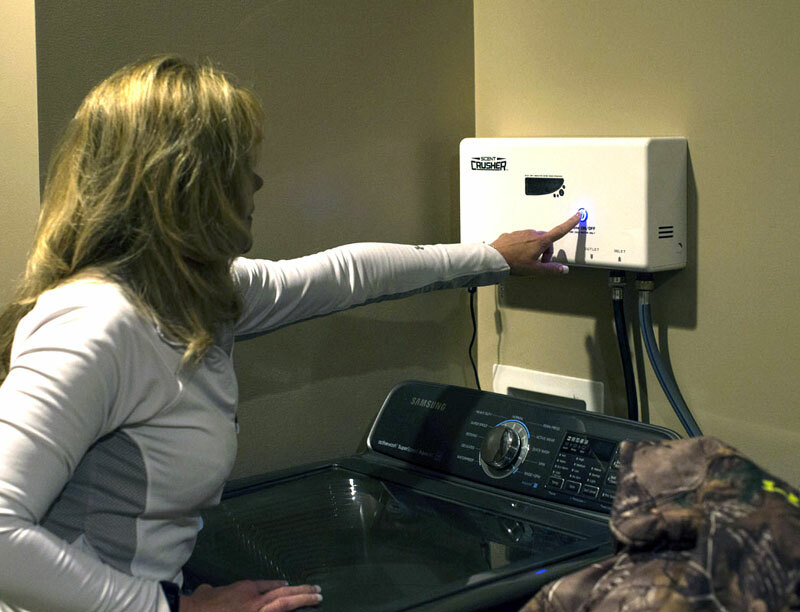 Safety systems continue to advance each year, so stay current and up to speed. Don’t be afraid to upgrade as appropriate, and ensure that you can continue to chase white-tailed deer for many years to come. 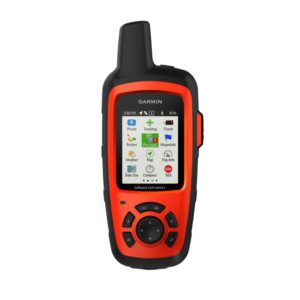 If you hunt in rugged terrain, away from public contact then having a Garmin GPS unit on your hunting gear list is something to consider. While a GPS unit is obviously very beneficial for marking potential hunting locations, it can also be the one tool that can help save your life should you find yourself injured and lost in the wilderness. Having the ability to know where you are in the world is critical to both success and safety, so if you do not have a GPS in your pile of archery hunting equipment, you should. The same can be said for bringing your phone. Whether you are simply looking to pass the time, or take some pictures of wildlife, having your phone with you can help save your life if and when you find yourself in trouble. You never know when trouble might hit, so consider purchasing an external battery for your phone as well. This can ensure that you have extended battery life and keep you in contact should an emergency arise. Often overlooked, the aspect of comfort can really be one of the most important considerations you make. A decision which can often directly equate to success. 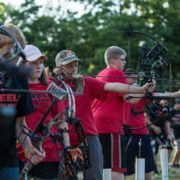 This article has focused on hunting gear and archery equipment that can help you be effective while bow hunting, however with gear comes the need for a durable and dependable pack. It is sometimes hard to appreciate just how much easier it can be to haul a large amount of gear in an out of the field with a comfortable and durable pack. Spending a little extra on a hunting pack that fits, has plenty of storage space, and can help distribute the weight of your gear can make hunting day in and day out much easier. Part of comfort is staying dry. This means not only incorporating moisture wicking materials into your layering system, but also trying not to sweat. It is also important that you carry backup rain gear. The weather might not be calling for a lot of rain, but pop up rain showers can quickly ruin a hunt yet provide ideal conditions just after. Make sure you pack rain gear, stocking cap, extra gloves– clothing that can all help keep you comfortable. 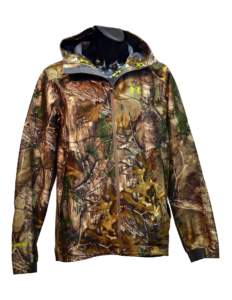 In any hunting situation, it is always a good idea to pack extra layers of hunting clothing. 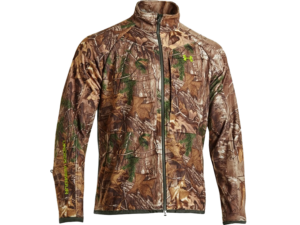 Most camo clothing companies offer essential base, secondary, and outerwear options. It is a good idea to follow this model when packing gear for bow hunting. Start with warm thermal base layers, building up to fleece or a warm secondary layer, and finishing with a tough water resistant or waterproof outer layer. Also think about including a layer that could give you a insignificant advantage while hunting. Hecs® Stealthscreen layers block your energy field, eliminating the chance that an animal detects you. Everyone has their own approach and method in regards to the hunting gear and archery equipment that they choose to bring to the woods. At the end of the day, it is all about what works best for you. However, if you find yourself wondering how you might be able to better equip yourself for the upcoming fall, consider the information above. This bow hunting gear list is the items we trust to be dependable and everything we need before, during, and after the hunt! Join the Pink Arrow Movement! 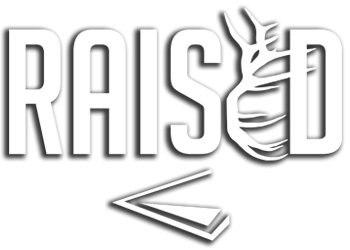 You can help Raised Hunting further their efforts to raise awareness for breast cancer one pink arrow at a time! As hunters, this relationship is broadened to other hunters, outdoorsmen, and women. Each hunter feels the joy, the frustrations, and the sadness that comes with hunting and life together as a group. When someone, whether a friend, a family member, a mother, or a wife is affected by something as painful as breast cancer hunters, as a united, compassionate, and responsible group, has the ability to take action. Get your pink arrow wraps today and show your support!